Filling 10mL bottles for an essential oil private labeling order. Imagine your Brand Name & Logo on the Very Best Quality Essential Oils, Aromatherapy Blends, Massage Oils, Lotions and Aromatherapy Products. Artisan Aromatics provides essential oil private labeling using our 100% Pure and Natural Essential Oils. We can create and print labels for you for a small one-time fee or you can provide us with your labels and packaging materials. We then bottle, cap, label and pack your order and ship to you or your destination of choice. We can handle both small orders (100 or so bottles) and large orders (10,000+). Minimum total for your initial order is $1000.00 in any combination as long as you get at least 10 each of each product. Most of our essential oil private labeling customers are in the US, but, worldwide shipping is available. We ship to your location or warehouse or drop shipper (try ShipBob.com for that). For more info about us, visit our webpage: About Artisan Aromatics. All bottled at our shop in North Carolina, USA (NOT China). Therapeutic Quality Essential Oils – we sell only the Best. If you feel that QUALITY is not important and are just looking for cheap essential oils, you might as well STOP reading now – we are not the right essential oil company for you. For more info about us, visit our webpage: Essential Oil Quality. NOTE: We do not bottle any product intended for internal or oral use. We believe that essential oils should only be used externally unless prescribed by a healthcare professional – this protects us and you. This does not mean that our essential oils are of any less quality than any other essential oils. It just means that in almost all cases, we think that using essential oils internally is not the best choice. We often say to our customers that the word “aroma” is in “aromatherapy” for a reason. Custom Products (if you can imagine it, we can create it for you as long as it is natural, plant based, safe, effective, ethical & contains no synthetics). Again, all formulation, bottling, labeling and shipping are done in our shop in North Carolina, USA (NOT China). Short 1 minute video below and more info on Essential Oil Private labeling below that. We are all about quality, not price. Cheap essential oils are often of low-quality and diluted or mixed with synthetic oils or fragrances, sometimes doing more harm than good. We personally select each essential oil in our inventory of over 150 essential oils to insure that we provide our customers with only the best quality possible. And, at the same time, we try to keep our prices as reasonable as possible while still maintaining the highest standards. For Essential Oil Private Labeling, your prices will be approximately half off (50%) our retail prices, and more for very large orders. Here’s a link to our: Retail Catalog PDF (download). We are very proud of the quality of our Artisan Aromatics brand of Essential Oils. We source, bottle and sell only the finest essential oils available anywhere and we will do the same for you. If we Private Label Essential Oils for you, they will be of the very same high quality that we bottle under our Artisan Aromatics Brand. Please note: We do not sell oils that are intended for ingestion. Internal use of essential oils is simply not a good idea no matter what some sales representative or MLM agent might tell you. Read more about the Safe and Effective Use of Essential Oils..
More Info on Essential Oil Private Labeling Below (Contact Form at Bottom of Page). Roller Bottles, Spray Bottles and Flip Top Bottles are also available for “ready-to-use” products like Massage Oils. We also carry a limited number of cobalt blue bottles in some of the sizes listed above. Optional caps are available in white instead of black for most of the above bottles. You can also provide your own bottles and caps by shipping them to us. Design your own labels, have them printed and send them to us. We will apply the labels to the bottles. We help you design and print your labels. If you do not yet have a label design, we will design your label for a one time setup fee. We generally begin with the same format as our own label using your logo and background color/pattern. There is a one-time $250 setup fee for label design. We will continue to update your labels free of charge. 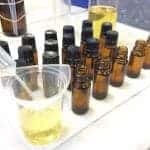 We bottle pure essential oils or “ready-to-use” essential oil blends that have been diluted to the proper proportions. You can select blends from our Private Label Catalog (download), and rename them to suit your brand. We can also make blends using your formulas, as long as they meet our safety guidelines. If you would like us to create your blend formula, our clinical consultant Dr. Joie Power, director of the Highlands School of Natural Healing, can work with you to create your custom blends at an extra fee. It depends how prepared you are to move forward with the project. It generally takes about one week to create the label and finalize your order, one week for bottling, and one week for shipping. If the quantity of oil is not in stock, allow one to two more weeks. If your order is larger (1,000 items or more), allow one to two weeks extra. Reorders can usually be filled within three to five days. Prices for Private Labeling are marked down 50% from retail for most items. The discount for very expensive essential oils, kits and diffusers is 30%, since our margin is much smaller on these items. Additional discounts are available for large orders. Private Label pricing includes oils, bottles, caps and labor. There are no hidden charges here. Shipping is actual shipping cost, no handling fees or convenience charges. For your first order, we ask that the minimum order is 15 of each product amounting to at least $1,000 total (not $1000 for each oil). $100 minimum for subsequent orders although $250 to $500 is much preferred. We know the needs of each of our private labeling customers are different, and we try to meet the needs of all of our customers. We pack per customer requirements. Additional fees may apply for putting individual bottles in bags, boxes or other containers. We can ship to you, your store, Amazon or any other destination. All shipping fees are additional. We charge exactly what the shipping provider charges us – no handling or convenience fees. We are located in North Carolina and ship anywhere in the US and worldwide. We do not drop ship. But, we can refer you to a company that specializes in drop shipping. We like ShipBob for this and can ship to them and then they can ship to your customers when you make a sale. Speak to your project manager about this. Some of our customers sell the products that we create for them on Amazon. But, this is EXTREMELY difficult to do UNLESS, you are already selling other products on Amazon. If your goal is to sell essential oils on Amazon, contact the folks at Amazon FIRST and make sure that you can sell your product on Amazon and also find out all the details that you need to pass on to us, like special label requirements, bar codes, special packing requirements, etc. To get started, fill out the contact form below. You will receive an email with a brief questionnaire. Please fill out as much information as you can, and send it back to us. Even if you’re not sure about your order, it helps to give us get a sense of your project. 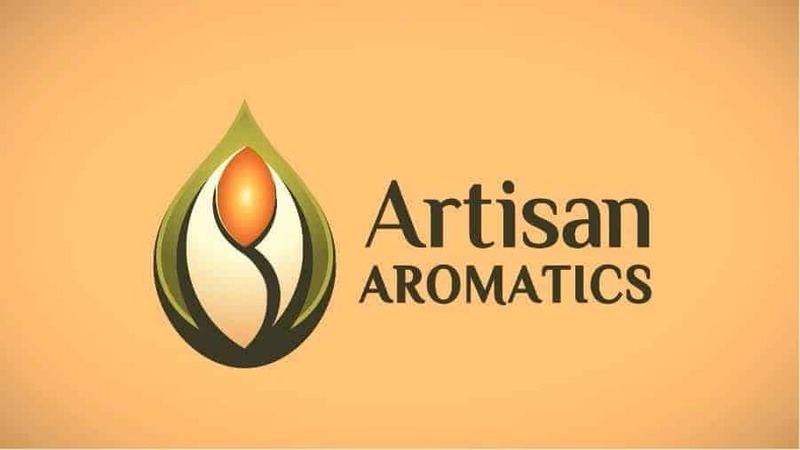 As an alternative to private labeling, you can buy our essential oils and aromatherapy products at Wholesale or Bulk prices, and sell them under our brand name (Artisan Aromatics) for no set-up fee. If you are interested in creating a Wholesale account or placing a Bulk order, please contact us. Your account specialist can help you determine which type of order is right for you.